Behre Dolbear participated in the mission of UK Trade Commission in Kazakhstan October 8-10, 2018. Meetings with mining companies and governmental officials provided insight on the new mining code and it’s practical application, updates in environmental and taxation regulations and provided valuable information on exciting new developments in mining industry in Kazakhstan. More ground is now open for licensing on “first come, first serve basis”, and mining companies are keen to add to their resource base using all the cutting-edge digital technologies. 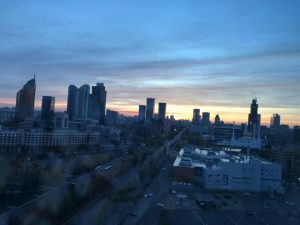 Sunrise over capital of Kazakhstan, Astana. TORONTO (Reuters) – Canada’s Barrick Gold Corp (ABX.TO), which recently announced a $6.1 billion (£4.6 billion) deal to acquire Randgold Resources Ltd (RRS.L), t.co/N7uaLM1tXK affirmed its 2018 gold and copper production forecast on Wednesday, reflecting improvements in operations. LONDON, Oct 9 (Reuters) – BHP expects a plant at its Olympic Dam mine to restart this month following repairs and the company has found a way to deliver returns from the asset as part of a focus on maxmising productivity, its head of Australian operations said on Tuesday. As the metals world descends on London this week, it seems everybody has something in common: they’re all copper bulls. 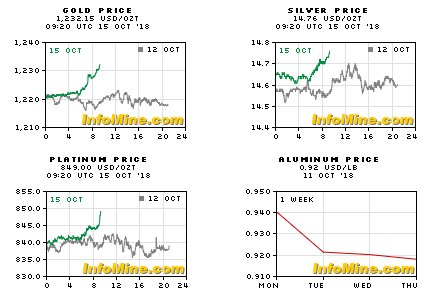 Speaking ahead of the annual LME Week gathering that starts Monday, more than a dozen commodity-focused hedge funds, trading houses, producers, banks and brokers were almost unanimously positive on the near-term outlook for the metal used in pipes and wires. Metals specialists consistently pointed to the disconnect between between big-picture concerns for the economy and a rapidly- tightening physical market. It’s been a tough few months for copper. Worries about a global trade war’s effect on economic growth helped push the metal into a bear market in August and the price recovery since then has been tepid. 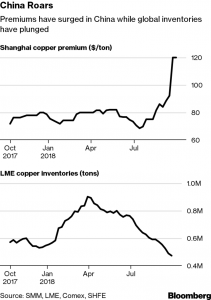 Yet spot sales of copper to China are booming, say executives at two leading copper suppliers, reaching levels not seen for several years, and exchange inventories have fallen sharply. Analysts at Raymond James are lowering their forecasts for zinc and copper prices. For the fourth quarter, the analysts have changed their zinc price forecast to US$1.20 per lb. 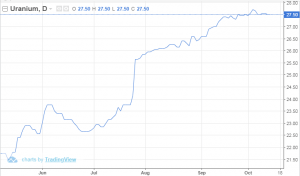 from US$1.40 per lb., and for 2019 they have trimmed their target price from US$1.30 per lb. to US$1.20 per lb. In 2020 they forecast a zinc price of US$1.10 per lb., down from their previous estimate of US$1.20 per lb. 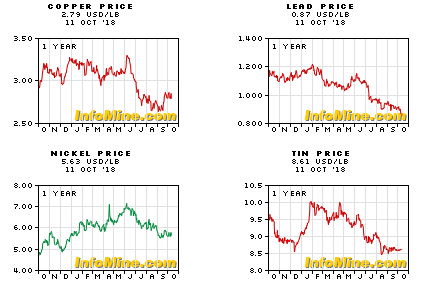 For copper, the analysts have decreased their price target in the fourth quarter from US$3.20 per lb. to US$3.00 per lb., and for 2019 from US$3.25 per lb. to US$3.10 per lb. In 2020 they forecast a copper price of US$3.20 per lb., up from their previous estimate of US$3.00 per lb. CHILE – The supreme court of Chile has maintained the closure of the water pumping wells at the Maricunga gold mine owned by Toronto’s Kinross Gold. This is the latest chapter in a long dispute between the company and the local environmental regulator, SMA. The SMA originally ordered the pumps be shut down in 2016, and Kinross suspended operations two years ago, laying off 300 workers. The Maricunga mine was a heap leaching operation located between 4,200 and 4,500 metres high in the Atacama desert. The mine produced 212,155 oz. of gold equivalent in 2015. 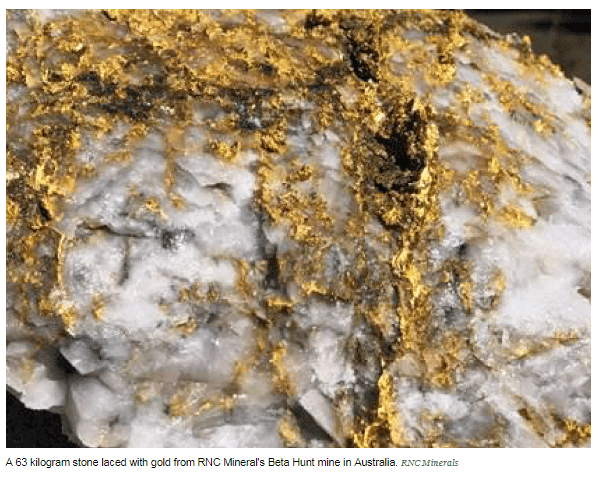 In the proven and probable reserves, there are about 1.0 million oz. 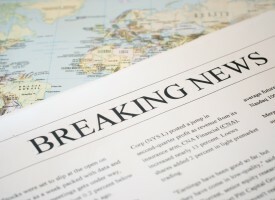 Visit www.Kinross.com for information on the company’s other gold operations. SANTIAGO (AFP) – The controlling shareholder in Chile’s lithium producer SQM has mounted a legal challenge to halt the sale of nearly a quarter of the company to Chinese group Tianqi. Pampa Calichera, Potasios de Chile and Global Mining — collectively known as the Pampa Group which holds 29.12 percent of SQM — said the decision by Chilean regulators to allow the deal breaks competition rules. SQM operates one of the world’s largest lithium mines on the Atacama salt flats in northern Chile. Lithium is used in batteries, and is in high demand given the boom in the production of electric cars.